Ruth Schonthal�s life mirrors those of so many other musicians whose careers � some incipient, others long-established � were thrown into disarray by the Nazis� anti-Semitic policies. Child-prodigy executant musicians are rare enough, but Schonthal was a child-prodigy composer, too, writing music from the age of six. She was still composing 76 years later: her last work, a set of Variations for Double-Bass on a German Folksong, was completed in June. Schonthal�s earliest career promised a glittering future: at five she was the youngest student ever accepted into the venerable Stern Conservatory in Berlin, where she attracted considerable attention as a Wunderkind. But in 1935, as a Jew, she was expelled from the institution and had to continue her piano and composition lessons with private teachers. In 1938 her parents saw the writing on the wall and fled to Stockholm, where their daughter�s extraordinary abilities gained her a place in the Royal Academy of Music, although she didn�t fulfil the standard criteria � and in the teeth of protests in the press, since there were restrictions on Jewish refugees. Her principal teacher there was Ingemar Liljefors, whose mild, folk-influenced modernism was prophetic of Schonthal�s own style. Her first published work, a sonatina for piano, appeared in 1940. In 1941 Sweden had begun to appear an insecure haven, and so Schonthal�s parents continued their flight, settling in Mexico City (via the Soviet Union). There she again resumed her interrupted education, studying composition with Manuel Ponce and Rodolfo Halffter and piano with Pable Castellanos. She soon made her mark here, too, appearing in a concert in the Palacio de Bellas Artes as soloist in her own first piano concerto, the Concierto romantico. It was in Mexico City that she met the composer Paul Hindemith, a Hitlerfl�chtling like herself, but by then one of the most respected teachers in the USA. Deeply impressed when he heard Schonthal performing her own works, he helped her find a bursary which in 1946 allowed her to join his composition class at Yale � at which point, like many other immigrant composers whose names had diacriticals, she dropped the umlaut which had initially graced the �o� of Schonthal. With marriage to the painter Paul Seckel in 1950 and a house in Atlantic City, New Jersey, her wanderings were at last at an end. But no one now knew her as a composer, of course, and so Schonthal had to establish herself all over again. She helped feed her growing family by writing music for TV commercials and playing the piano in bars; private teaching in New York also contributed to her modest income. Professional security came from a post teaching composition at New York University and another at the State University New York at Purchase. And she doggedly continued composing, turning her turbulent past to good effect in her music which, toughly argued but approachable in manner, fused elements of her European past with Mexican folk influences and American modernism. Ruth Schonthal�s output includes over one hundred compositions, among them three operas, all focussed on female figures: The Courtship of Camilla (1979�80), Princess Maleen (1988) and Jocasta (1996�97), a feminist recasting of the Oedipus legend where both the main characters are represented by an actor, a singer and a dancer. She paid homage to her second adoptive homeland with Fiestas y Danzas (1961) for piano, based on Mariachi tunes, and her third with a Whitman song-cycle, By the Roadside (1975). A number of works address her Jewish heritage, among them a set of Variations on a Jewish Liturgical Theme (1994) for, unusually, electric guitar, and the Third String Quartet (1997) which bears the title Holocaust in Memoriam. She similarly considered contemporary events in her music, writing an anti-war cantata The Young Dead Soldiers in 1986 and Bells of Sarajevo for clarinet and prepared piano in 1997. Gradually the world rediscovered Ruth Schonthal. In 1980 she made her first trip back to Germany in 42 years when she undertook a concert and lecture tour. Performances of her music became more frequent. The city of Heidelberg awarded her a medal and celebrated her life with an exhibition in 1994, the year in which Martina Helmig�s Ruth Schonthal: ein kompositorischer Werdegang im Exil appeared in print (an English translation, Ruth Schonthal � A Composer's Musical Development in Exile, is scheduled from The Edwin Mellen Press this coming December). In 1997 Furore Verlag in Kassel signedan exclusive contract to publish her music. In 1999 she presented her archive to the Academy of the Arts in Berlin, which marked the event � and her 75th birthday � with a gala opening, a concert and the release of a CD of her piano music, played by Adina Mornell. 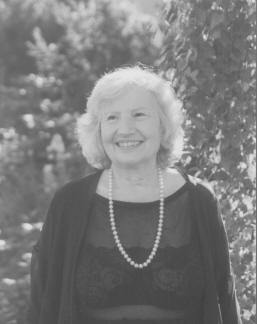 Ruth Schonthal (Sch�nthal), composer and pianist; born Hamburg, 27 June 1924; married 1950 Paul Sekel, 3 sons; died Scarsdale, New York, 10/11 July 2006.